Ryan's Smashing Life: Download the First Single from Bob Dylan's New Album! Download the First Single from Bob Dylan's New Album! DYLAN, DYLAN, DYLAN - At the end of April, living music legend Bob Dylan will release his 46th album. Together Through Life, produced by Jack Frost, was recorded late last year, prompted by the composition of a new song, “Life Is Hard,” which was written for a forthcoming film by French director Oliver Dahan (La Vie En Rose). We are very excited to announce that you can download the first single from the new album, "Beyond Here Lies Nothin'" absolutely free! And friends, this new song (which you can grab from BobDylan.com) thoroughly impresses! from D.A. 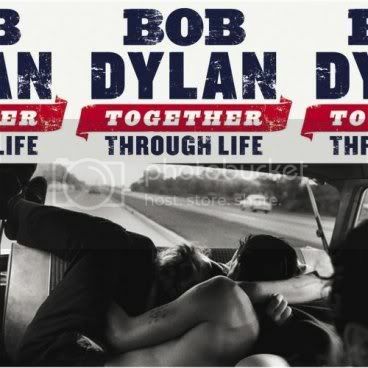 Pennebaker's 1965 Dylan tour "biopic"
THE TIME OF HIS LIFE: The Platinum-selling Time Out Of Mind from 1997 earned multiple Grammy Awards, including Album Of The Year, while “Love and Theft” continued Dylan’s Platinum streak and earned several Grammy nominations and a statue for Best Contemporary Folk album. His most recent studio work, "Modern Times," became one of his biggest albums worldwide, selling more than 2.5 million copies and earning Dylan two more Grammys. Download "Beyond Here Lies Nothin'"
To wspaniała muzyka,wiele pięknych wspomnień.Ten Dylan...kocham jego twórczość,brak mi słów by opisać słowami co czuje gdy go słucham.